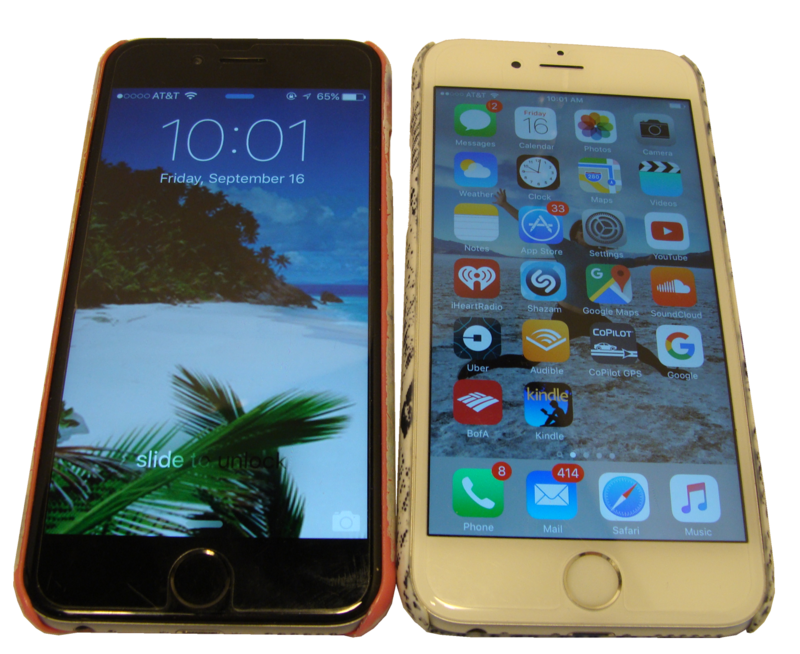 Now that Apple just released iPhone 7 it may be a good time to look into buying an iPhone 6. New model on the market means that iPhone 6 will get cheaper. There will also be plenty pre-owned phones available for sale on Craigslist, eBay and Amazon. People want big phones. At first the idea was a bit silly, then it was a little bit true, now it’s just kind of obvious. We don’t just use our phones to make calls, we use them to watch movies, read books, get work done and send weird videos on Snapchat. So we want phones with big screens and great cameras, great battery life and lots of apps. So Apple made that, exactly that, this is the iPhone 6. There’s really nothing more accurate to say about the iPhone 6 other than it’s a big iPhone. 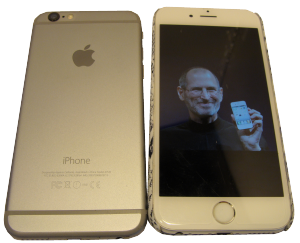 It’s taller and wider and slightly heavier than the iPhone 5S, though it’s actually a bit thinner. It comes in the same three colors: silver, gold and space grey, plus three storage options. You either get 16GB, 64GB or 128GB if you upgrade. It has slimmer round edges than the 5S which makes it a little more comfortable and a little less starkly impressive. Because it’s thinner it’s still easy enough to hold in one hand, though it’s definitely more difficult than using the 5S one-handed. It’s about the size of your average flagship Android phone. It is somewhere between the Moto X and HTC’s One M8. Moving up to a 4-inch phone takes a minute to get used to, but it really is worth it. 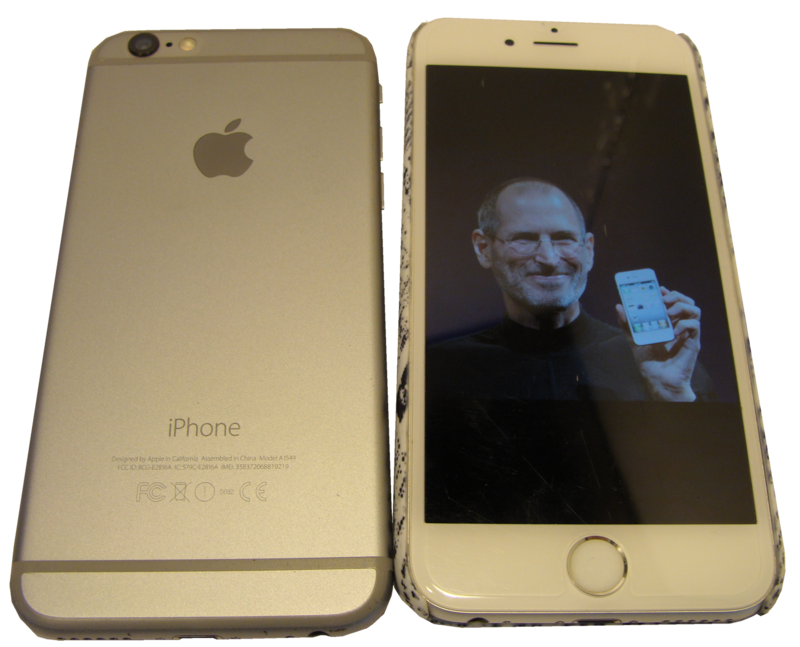 The iPhone 6 looks a bit like the very first iPhone. There’s no question that this is an Apple product. 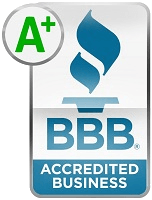 It’s really well-made, sturdy and high-end and even the buttons feel better than they ever have. The power button is now on the right side and will take time getting used to, but it’s definitely in the right location and the volume buttons are a little longer and a lot clickier. The only real design flaw are the stripes on the back where the antennas go. 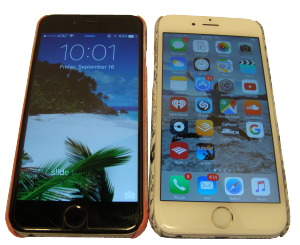 They outline the top and bottom of the iPhone 6 and almost look out of place on an otherwise clean design. The same goes for the protruding camera lens that makes it look a little odd and makes the phone wobble slightly if you put it down on a flat surface, but it’s really not a big deal. The front of the phone is all about the new 4.7”, 1334 x 750p screen. It looks great just like iPhone screens have for a while. You can’t make out individual pixels and it’s totally visible outdoors. The screen curves into the edges of the phone so it makes swiping and navigating feel much more natural. The iPhone 6 doesn’t feel like a box with a screen on top, it feels more authentic somehow. Most apps upscale pretty simply on to the bigger display, developers can change them to suit the screen or text and pictures just all get a little bigger. In some places having a big screen makes a huge difference. You’ll instantly begin typing faster and more accurately on the larger display since there’s just simply more room. Movies look better, framing photos is easier and you can see more emails at a time on the screen. Some may wonder if Apple could, or should, have done more with this big screen. You get an extra row of icons on the home screen, a neat recents menu in the multitasking window and not that much else. There’s a strange but sort of useful readability mode where you double tap the home button and the screen literally slides down so you can reach it. On the iPhone 6 Plus there are a few other changes like landscape mode on a few apps, but on the 6 even though there is a larger display and more space to play with, nothing really changes. It’s bigger, it’s better, but it’s the same. That idea really persists across everything about the iPhone 6. It supports faster LTE, voice over LTE, WiFi calling and a handful of other new standards and upgrades. There’s a new A8 chip that is noticeably faster than the A7 and the M8 motion processor can tell you how many flights of stairs you climbed in addition to your steps and lots of other health data. Even the speaker is louder which many of you may really appreciate. The battery is a little bigger and noticeably better. You can charge it one night and not need to again midday two days later, and that’s with pretty heavy use. Those are all updates you don’t really and are just running in the background and make the iPhone 6 slightly better and faster than the 5S. The ones you will see is the camera. It’s still 8MP but the camera has been upgraded in a bunch of great ways. It uses what Apple calls “focus pixels” to do phase detection autofocus and it’s insanely fast. You’ll hardly ever notice it focusing but shots will almost always come out right. You’ll be able to take higher resolution panoramas now thanks the the processor and they look amazing. Two of people’s favorite features have to do with taking video. One is that you can shoot slow-motion video up to 240 frames per second (fps) which turns quick-moving action into epic replay footage. The other is cinematic video stabilization which does an incredible job of taking our shaky handheld video still and smooth. You can see the frame warp and bend a bit as it works but the effect is amazing. There’s a lot of new software here: time-lapse videos, burst selfies, a new Photos app and more. The camera has always been the iPhone’s killer app and the iPhone 6 is a big upgrade. 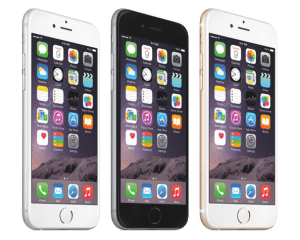 The rest of the story of the iPhone 6 is the story of iOS 8 and iOS 9. There’s now predictive text on the keyboard which is sometimes useful and sometimes not. The health app plugs into the M8 processor and into the Apple Watch to tell you your steps, your elevation and all sorts of other fitness data. Messages lets you talk with your voice and leave group messages. Another awesome app upgrade is Spotlight, it allows you to search the app store, the web, wikipedia and more all from the one pull-down window. It’s just super handy. Apple software and the app ecosystem have always been what sets the iPhone apart and that hasn’t been changed. The iPhone 6 is weird, one one hand almost everything about it is better, bigger screen, faster processor and a versatile camera. It’s the best iPhone yet and one that most people will or have purchased. 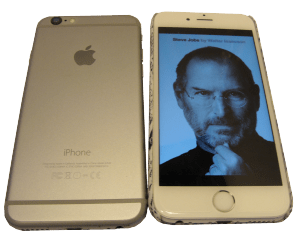 We were hoping that when Apple made a bigger phone they would do things or change its plan to really show off the promise of a larger screen to make it easier to use and take full advantage of. But it didn’t, Apple just made a bigger iPhone, the same thing we’ve been using for years. That’s OK, and again this may be the best smartphone on the market. 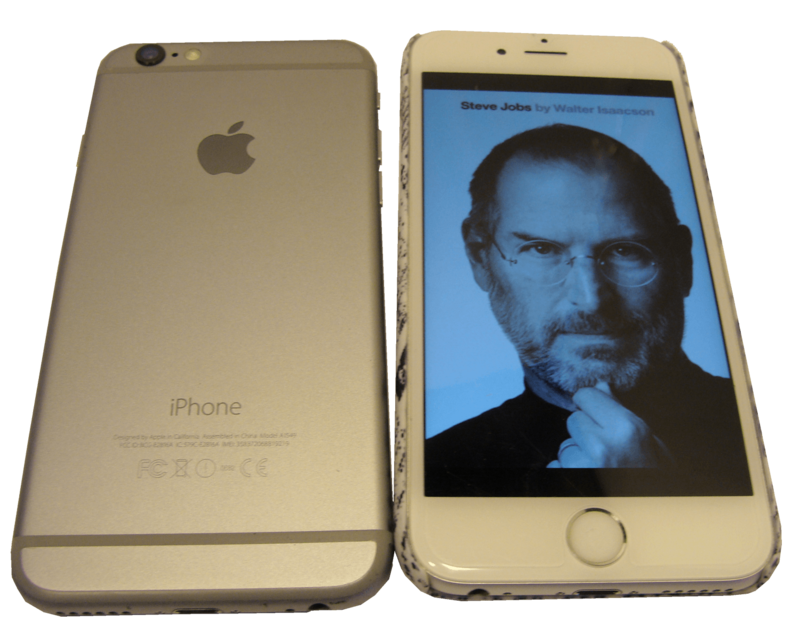 The iPhone 6 doesn’t feel like a revolutionary device. It feels like Apple is just playing catch-up and just giving people what they want and nothing more. 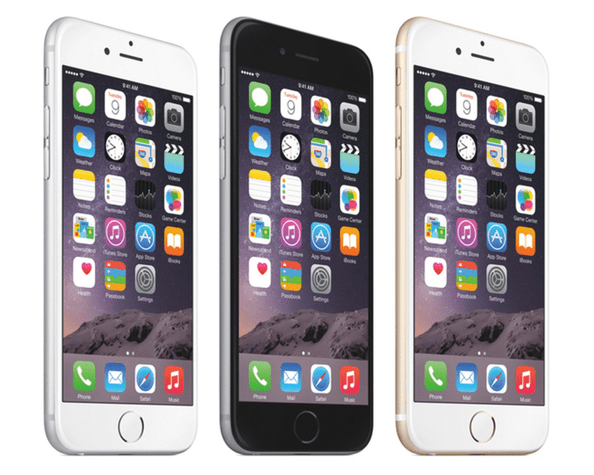 Like many we wish that Apple would have really taken the chance to rethink how we use our phones now that phones are really big. Instead, we just got a really great big phone, nothing less and nothing more.